Our vast experience in this area allows us in developing comprehensive strategy and makes us capable of considering every facet of the project before providing over dimensional cargo service. We do freight evaluation and carrier selection, to site surveys and route clearances for handling over-dimensional shipments safely. Owing to our superlative capabilities, we are able to deliver Special Cargo Services. Under this clients can avail Hazardous Cargo, Perishable Cargo & Over Dimensional Cargo transportation services. Our experts take in to consideration the suggestions and requirements of our clients. 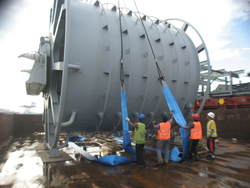 We provide service of transporting the ODC Cargo or Project Movement or high volume Exhibition Cargo. 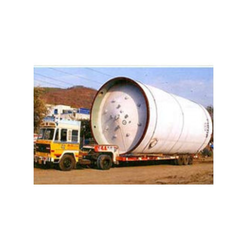 Supreme is an expert in Project transportation & ODC cargo across India. A.T.C (Clearing and Shipping) Pvt. Ltd.
Our firm is enlisted as one of the renowned name in offering high quality Overdimensional Cargo Services.